About us - mafianeindanke e.V.mafianeindanke e.V. Mafia? Nein Danke! e.V. is actively organizing events, lectures, discussions, book and movie presentations in which it shows the experiences of the Italian anti-Mafia movement. Furthermore, it organizes formative activities concerning the fight against organized crime like workshops, university’s courses and meetings with students and pupils in different schools. The association has an international approach, thus the activities are often carried out in cooperation with other NGOs, especially from Southern Italy. MND collaborated in 2011 and 2013 with the pan-European anticrime-network Flare (Freedom, Legality and Rights in Europe) to organize workshops for students from all over Europe. 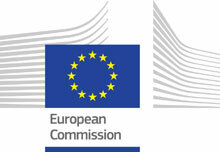 These projects were founded by the European Commission (Project ECHO 1 and ECHO 2). Furthermore, MND is participating to the Erasmus+ program as a receiving, sending and coordinating organization for the European Voluntary Service (EVS) since 2013. Last but not least, it has stable partnership with Libera and its international network. Mafia? Nein Danke! e.V. is based on volunteers’ support what grants true and genuine interest toward these issues. The association’s members are Italian and German students and professionals who actively contribute with their researches and ideas. MND took part as a partner in a Europe-wide project led by Libera International, Tackling the illegal economy. This project is funded by the European Commission (Programme “Prevention of and Fight Against Crime”, Targeted Call for Proposals Financial and Economic Crime – Finec). The general objectives are to share information on the methods to fight financial and economic crime; to identify and diffuse best practices in the confiscation and recovery of criminal assets. The specific objectives: to promote best practices on the re-use of confiscated assets; to develop partnerships between civil society, academic and institutions; to transfer civil society’s experience to public actors, to assist them in the re-use of confiscated assets. International round table tour, researches, seminars, and networking these are the main activities. Multidisciplinary research on the international law framework, to identify the best solutions available for confiscation and recovery; Independent journalists will investigate cases of criminal infiltrations in licit economy, to draw scenarios where the solutions can be verified; a Financial investigation on real world study cases, will draft a Document of Recommendations on the best practices in the fight against economic and financial crime. To this purpose, MND organized a two-day conference in Berlin with 16 international speakers. The group’s latest activity was organizing a one-month intensive course in cooperation with the Alexander-von-Humboldt Universität Berlin held by the Italian sociologist Prof. Nando dalla Chiesa in January and February 2015: “The expansion of the mafia: between a conquering spirit and suppression” at the Faculty of Romance Philology. Since its beginning, MND organized far more than twohundred events and invited several dozens of speakers to talks in Berlin and other German cities.